Home BOLLYWOOD Jubin Nautiyal Not Happy With Arjun Kapoor’s Half Girlfriend? 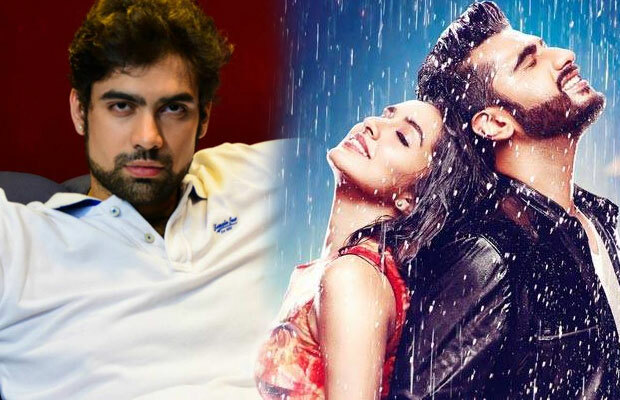 Jubin Nautiyal Not Happy With Arjun Kapoor’s Half Girlfriend? Half Girlfriend’s first song, ‘Baarish’ was released on 11th April but sadly has a bad background, know how! Shraddha Kapoor and Arjun Kapoor’s, Half Girlfriend trailer is out and the new song ‘Baarish’ has also come up, which with luck has hit a mere 11million views on YouTube. The song is composed by Tanish Bagchi and the lyrical contribution for this song has been done by Tanish and Arafat Mehmood. The song is a heart touching one and best at its own. According to spotboye, Jubin Nautiyal had sung for the latest hit from Half Girlfriend but later when he met the director, ‘Mohit Suri’ it was quite shocking for Jubin to know that his voice was not being used. Uh-Huh, another person after Arijit who’s song has been chucked out. Well! Its all fun and games until you get to witness what’s being used for the topping. Jubin Nautiyal has been hurt like Arijit was during Sultan, he has just been neglected it seems. This isn’t that convincing Tanish! Baarish was finally sung by singer ‘Ash King.’ He constantly focused on his point that Ash’s voice fitted to the character of Arjun Kapoor and the movie, but Jubin should’ve been informed Tanish. Previous articleLeaked Video: After 20 Years, Varun Dhawan Recreating Salman Khan’s Iconic Track Oonchi Hai Building Will Leave You Nostalgic! Next articleAfter Ex-Husband Sunjay Kapur Marries Priya Sachdev, Karisma Kapoor Also Ready To MARRY Again?